What do turkey basters and marketers have in common? Thanksgiving, of course. Holidays are big days for family get-togethers, fun, and business. This is evident in the country’s push for longer holiday seasons; though, with Black Friday and holiday shopping just around the corner, businesses have no excuse to jump off the bandwagon. Thankfully, social media makes marketing easy. Aside from oven-baked selfies and cranberry ice, everyone’s favorite time-wasters are powerful tools for generating hype and buzz from customers. But how do you differentiate your products and deals from the thousands of others that are choking up newsfeeds? Well there’s an answer for that, too. First off, you need to prepare your Facebook, Twitter, Pinterest, Instagram, and other accounts for the holiday rush. Make sure your contact info (check it twice!) is up to date and consider sprucing up your profile and cover photos. Newsfeed scrollers zoom right past most business-based posts — it’s just the way things are. Images, however, are eye-catching and deserve a second glance. Consider mashing together your cover photo with an in-store announcement or deal. This way, you’re putting more emphasis on showing rather than telling. Because of days off and holiday schedules, you have to enter the holiday rush with an arsenal of marketing material. If you’re in charge of a business’ social media, create a publishing schedule and prepare the posts beforehand. Keep them spaced out throughout the different platforms to maximize your exposure. Most likely, you’ll experience an increase in traffic late Thanksgiving night and on the morning of Black Friday. Why? Because shoppers are scouring the Web for deals and discounts. Post them, make them distinct, and keep posting throughout the weekend. You can use Twitter to share live information about your store, post a picture of a dedicated shopper shivering in your parking lot, or announce that you have steaming cups of coffee for the first 100 shoppers. Small businesses should take advantage of the giving bug and pair up with a local charity or organization. Allow your customers to donate a dollar or give directly to a fundraiser; not only does this promote your company’s value, it gives your customers a chance to make a difference. Double up with social media mentions, hashtags, and other online marketing to get your brand and name out there. One of the most incredible aspects of social media is that fans and followers determine whether or not a post stays alive. 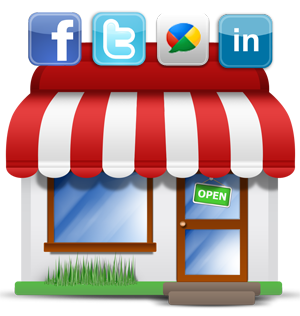 Find ways to encourage likes, shares, and follows and offer deals and discounts in return. It takes minimum effort on the part of the customer and can make a major impact on your holiday sales. So, you have your posts lined up and your deals dialed in — what’s next? In order to successfully manage social media, you need to keep an eye on your company’s performance and react and respond to customers. People comment and share your posts because they agree with you. Return the favor, especially when it comes to other businesses in the area. Cross-promotion is incredibly useful and benefits both parties. Of course, the worst mistake you can make is being like everybody else. Don’t post the same steaming turkey pic on your Facebook, don’t write sappy “We are thankful for…” posts, and don’t assume that just because you’re marketing you’ll see a boost in sales. Social media is as competitive as it is helpful. It’s your job to find ways to be authentic and honest at the same time.